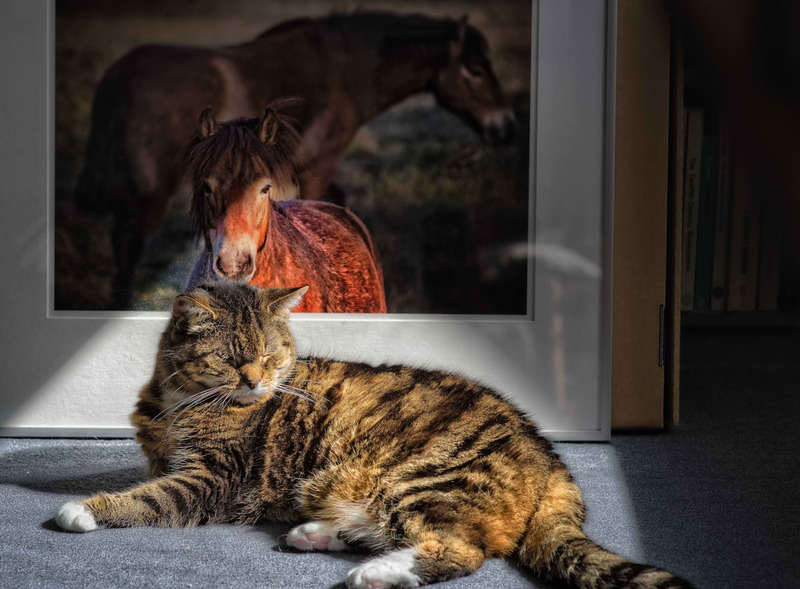 Horse picture with cat – Castricum, NL. A very three dimensional cat in front of a two dimensional picture. For only a moment a triangle of sunlight had its apex in the pony’s left eye. This triangle of light also envelops the cat, bringing together some animals here that are dear to my heart. The original of the horse picture in the frame can be found here.